Last year I started a social media event called “14 words for one love” where I asked my Facebook friends to post 14-word poems or aphorisms about community love in order to give them away on Valentine’s Day. 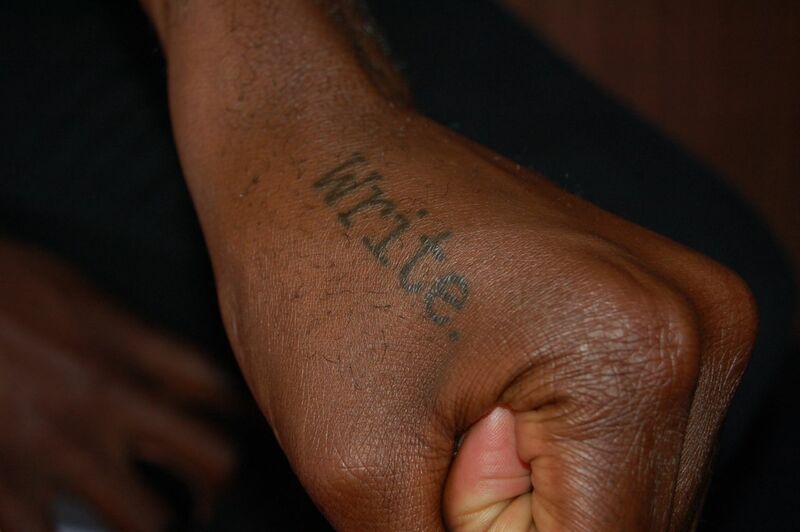 My goal was 1400 poems but secretly I hoped to collect more like 140. The day before Valentine’s day I’d collected over 2800 poems from Russia, Germany, France, Brazil and all 50 states. About a thousand people (friends of friends of friends) created beautiful, funny, poignant and weird poems and prose to be given away. To anyone or everyone. To make someone smile or help them remember that they count. That despite our differences, we humans are all in this together. 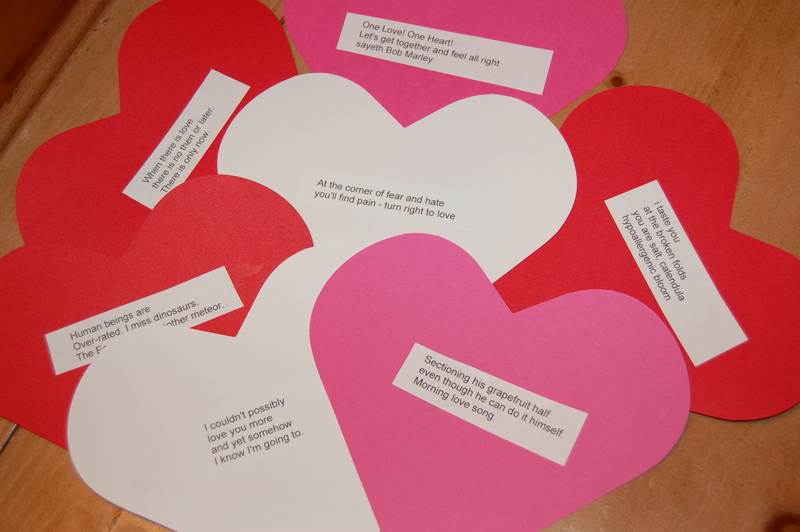 I roamed around Raleigh, Durham and Cary, NC, handing 500 poems to legislators, the homeless, shop keepers, postal workers and anyone who said yes to the valentines my daughters and granddaughters helped me assemble with 14 words created by so many generous people. Will you join us this year? Starting Saturday Jan. 25, go to 14 Words For Love and sign in once. Post a 14-word poem or statement. Comment on what others have written. Post more (they’re addictive). Download as many 14-word creations as you’d like. Print them out, cut them up. Paste them on hearts (or not) and give them away this Valentine’s Day. unsettled, Jodi Barnes’s first chapbook (Main Street Rag’s Author’s Choice Series), is not a journey to get back home but to find her place. Location doesn’t matter. Language does. 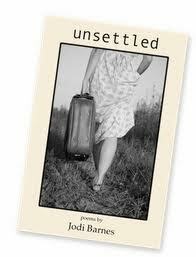 unsettled won runner-up in the Oscar Arnold Young Contest for North Carolina’s best poetry book in 2010.